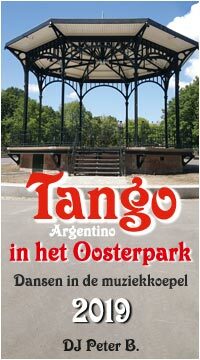 The tango salon with its beautiful wooden dance floor and good acoustics, is known for its typical Argentine tango in a relaxed atmosphere. The choice of music also plays a very important role. Home-DJ is the very experienced (since 1994) DJ el Irresistible. Guest DJs will be announced. Arjan & Marianne welcome you. 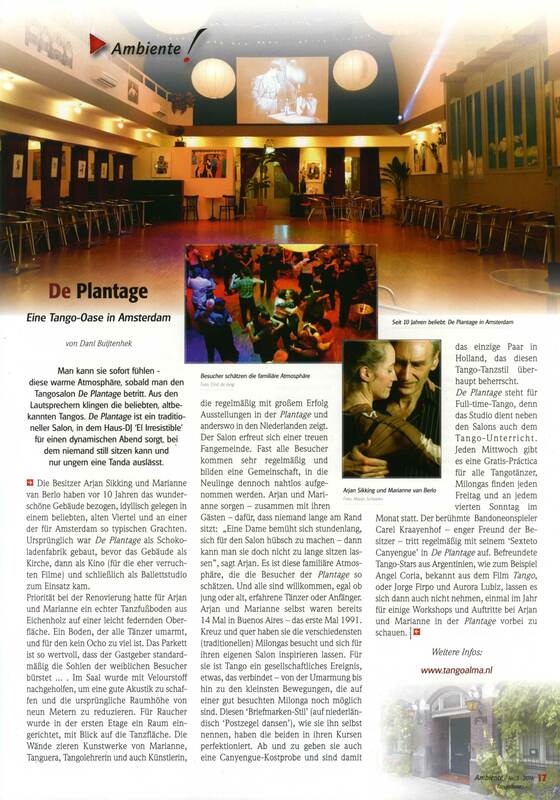 See an article about the salon in Tangodanza of July 2016. Practice: the Wednesday practice evening is aimed at students of all levels who are learning tango, also for those who don’t follow lessons at Tango Argentino Amsterdam. Come to practice, we are here to help if you have forgotten something. Consumptions: during the salons there are drinks and delicious tapas. For the Sunday salon, there are empanadas, too. Non-smoking: the salon space is non-smoking, but there is a smoking-lounge overlooking the dance floor. # The next salons on Sunday are: 28 Apr, 26 May, 23 Jun, 28 Jul, 25 Aug, 22 Sep, 27 Oct, 24 Nov, 26 Dec X-Mas Salon, 27 Dec, 1 Jan New Year Salon, 26 Jan 2020, etc. on the fourth Sunday. Click here for the website and whether it continues in connection with the weather.